Hockey stick bags are equipment storage bags that are shaped to protect your sticks from damage and allow easy transport, especially for flights and buses. 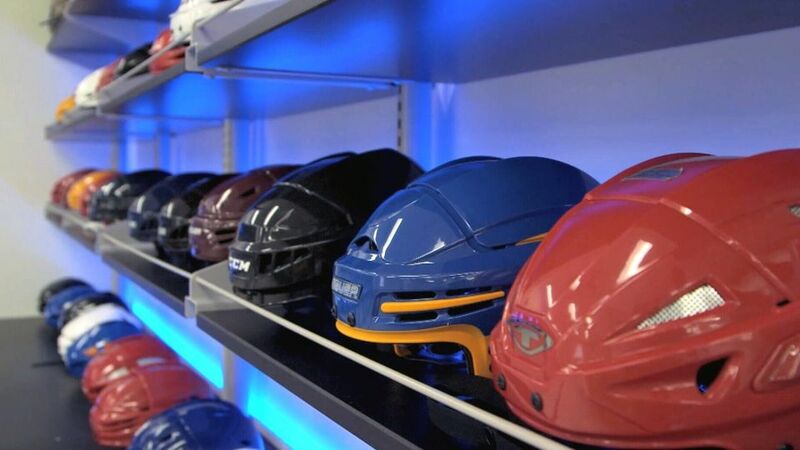 The best hockey stick bags are simple, they just need to have the right dimensions, the right material and padding and need to survive being thrown around with other gear without damaging the sticks inside. 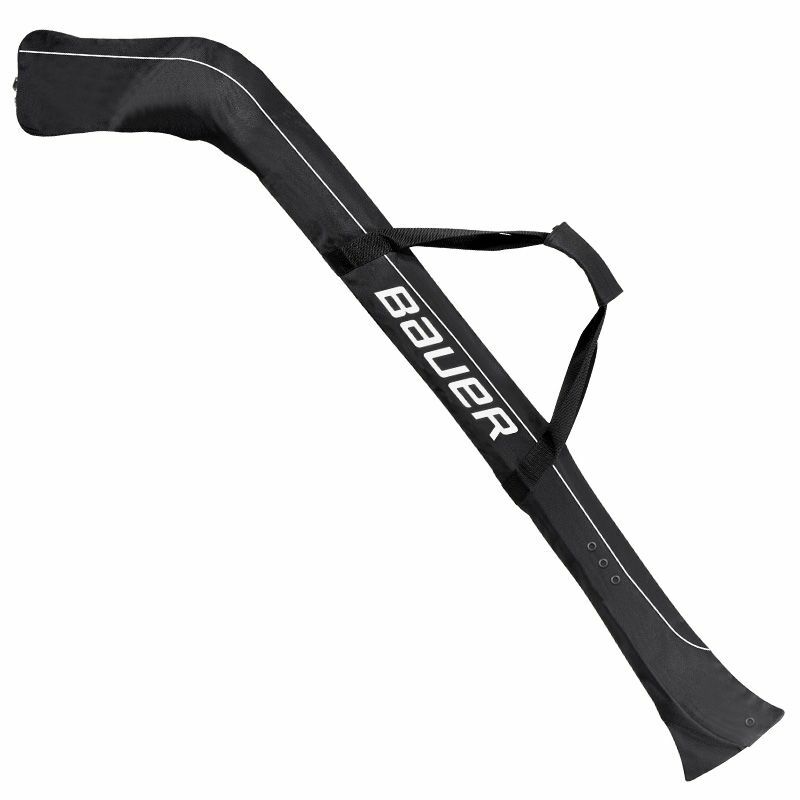 Our top pick is the Bauer Individual Stick Bag (66″L x 6″H) that can hold up to three senior sized hockey sticks. 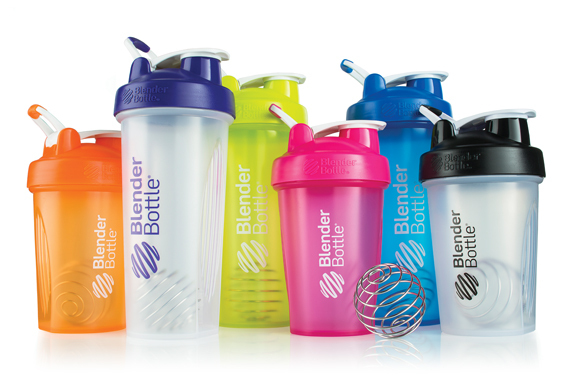 The material is made of heavy duty 500D polyester for durability with a padded blade area for extra protection. 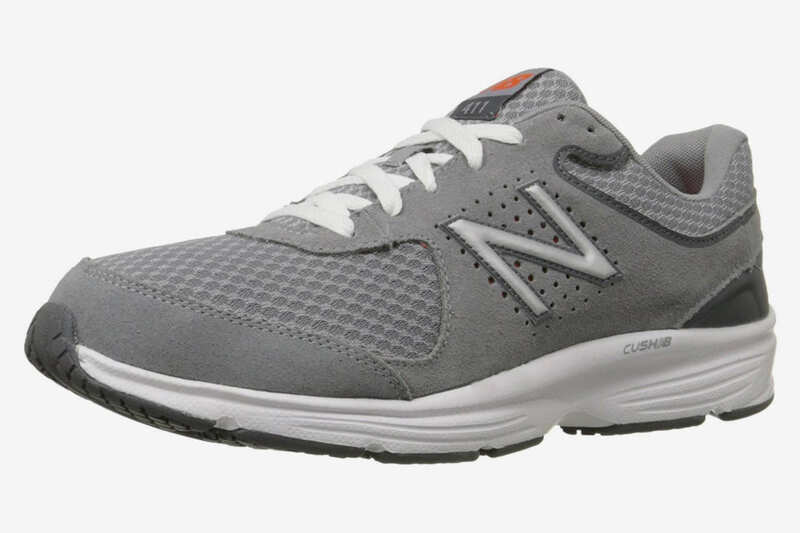 The length is adjustable so you can fit any sized stick with heavy duty metal zippers to secure it. 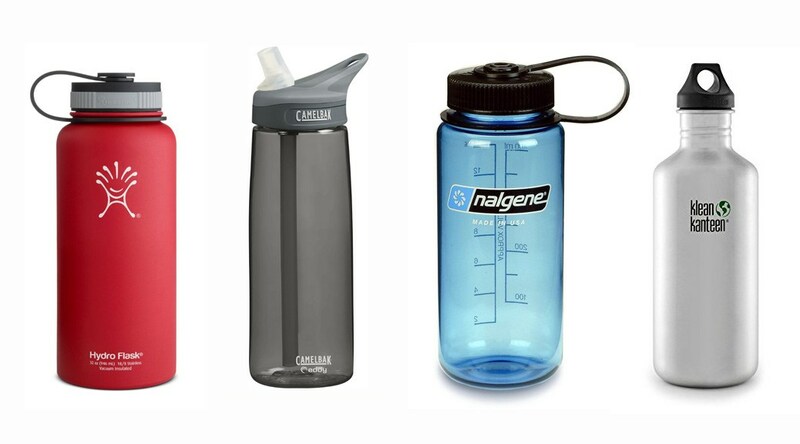 It also has a shoulder strap for easy carrying. This hockey stick bag meets all our requirements and is the perfect size with a solid construction. 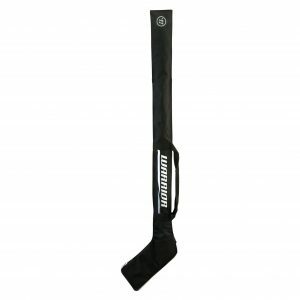 The Warrior Covert Stick Bag is our runner-up, able to hold up to four left or right handed hockey sticks. 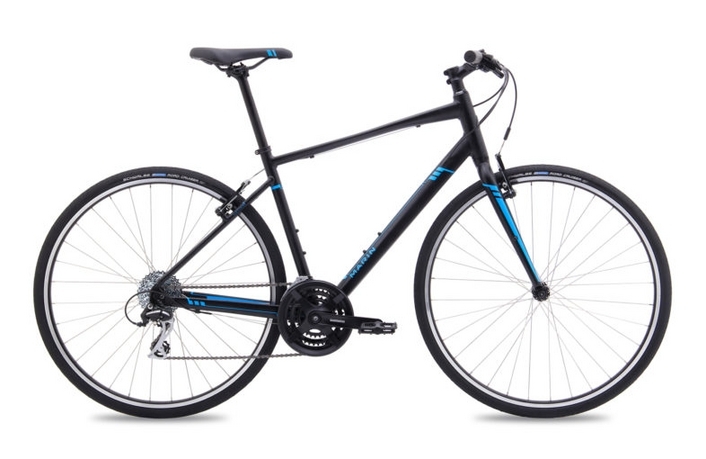 It’s constructed with 600D polyester for extra toughness and the stick blade area is padded for extra protection when travelling. The zippers are also metal as well. 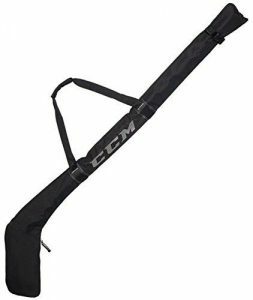 The CCM Hockey Stick Bag (71″L x 14.5″H) is our third choice. 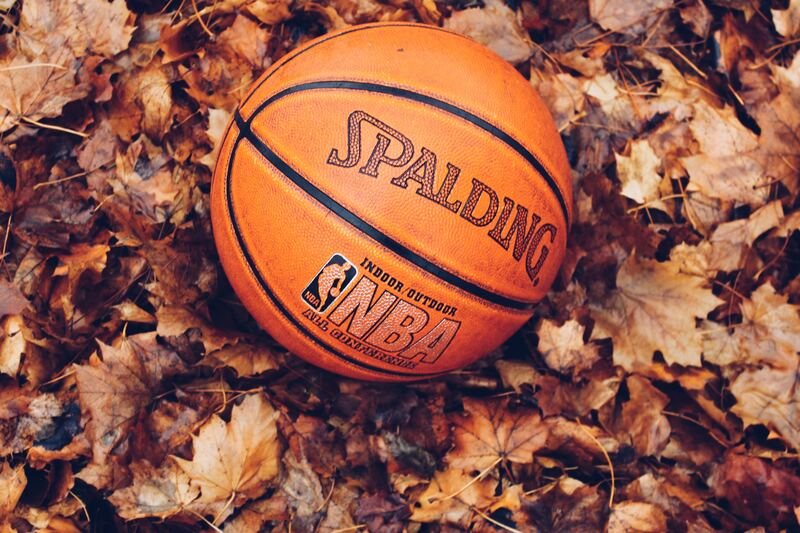 It is smaller, holding 2 sticks but it doesn’t provide much extra room so it can be a tight fit sometimes. 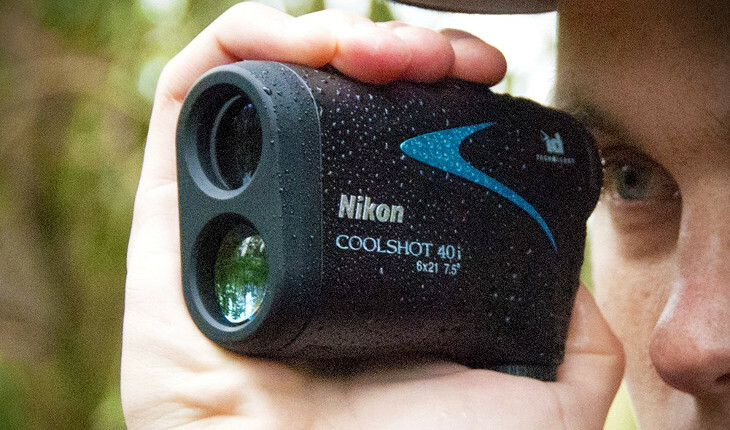 It is made from 500D polyester as well with an easy-to-carry strap. The A&R Hockey Stick Bag utilizes 600D polyester and can hold up to three hockey player sticks or 2 goalie sticks. It includes a name tag panel and heavy duty zippers. 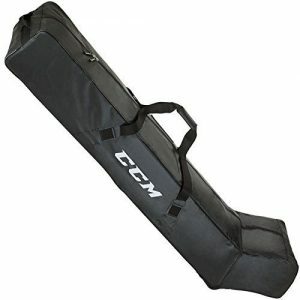 If you want to hold over 70+ hockey sticks, then look no further than the CCM Team Wheeled Stick Bag (77″L x 15″W 10″H). This hockey stick bag has water resistant tarpaulin exterior for heavy duty all-weather durability, thick metal zippers and all-terrain wheels for easy maneuvering through airports and parking lots. 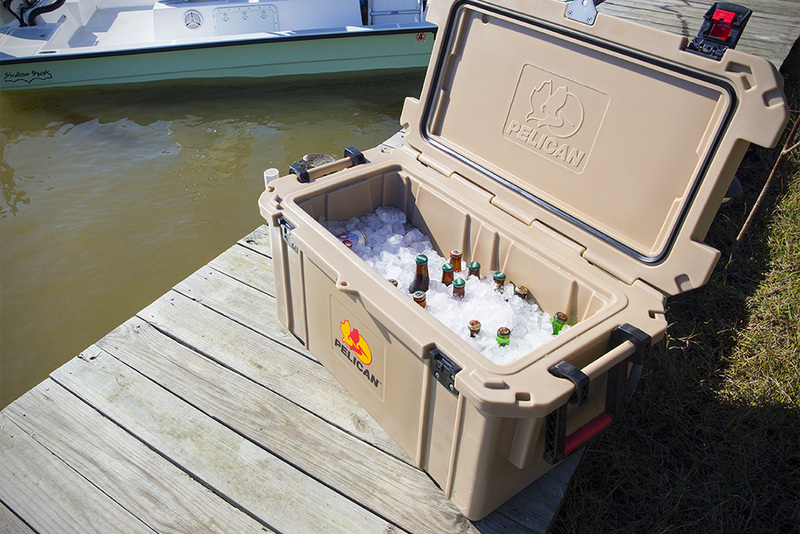 There are reinforced carry straps on top and pull handles on each end to make transport easier.